The company was founded in 1924 at Hanaten-town, Higashinari-County, Osaka, under the name of "Tsurumi Shokai", and started manufacturing TDL-series agriculture-use vertical shaft pumps. Tsurumi introduced its overseas strategy in the 1960s. Our technical capabilities gained recognition first Asia in the 1970s and then in the United States and Europe in the 1980s. At thermal and nuclear power plants, electricity is generated using steam. The steam that has passed through the turbine is sent into a large ??ondenser? ?where it is recovered as water to be reused for power generation. 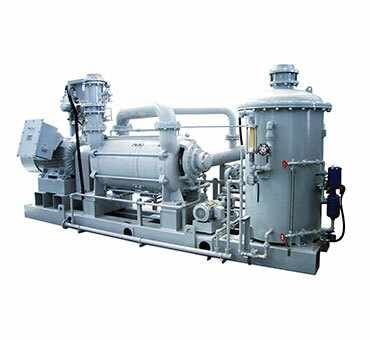 Condenser vacuum pump removes non-condensable gas from the condenser to maintain a vacuum, thus contributing to the high power generation efficiency and the high cooling efficiency of the condenser. The vacuum pump must be highly reliable because it operates constantly alongside the turbine as long as the plant is in operation. Conventionally, a steam ejector using high-pressure steam is used to extract air from the condenser. 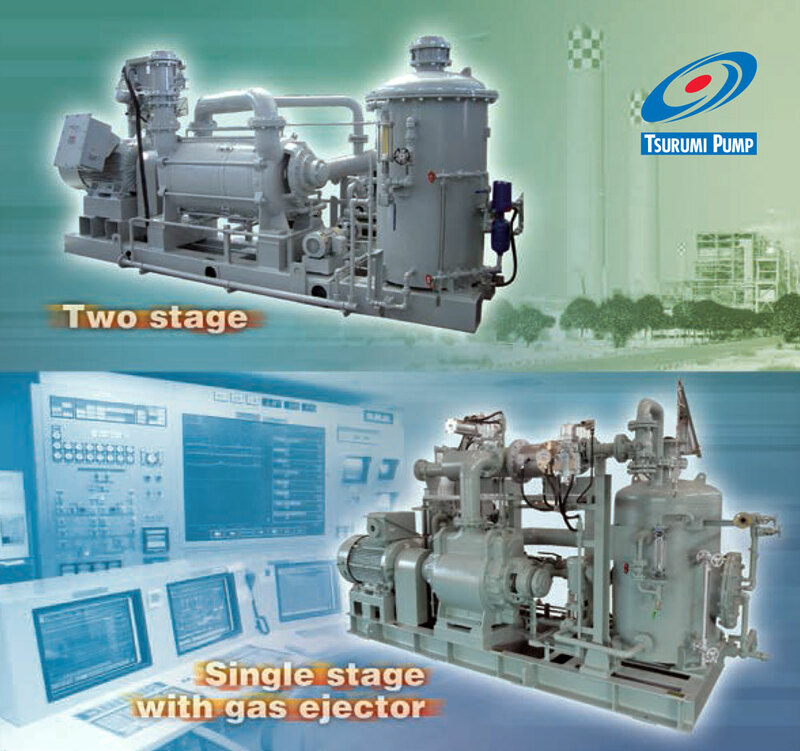 Recently, however, a liquid ring vacuum pump has become popular because of its operating convenience and a centralized control system that is widely adopted in power plants.